Made from natural fibre, Creativa is loved for its distinctive soft and silky touch – it’s twisted for modern fashion as well as quick and easy projects to decorate your home or fashion outfits. 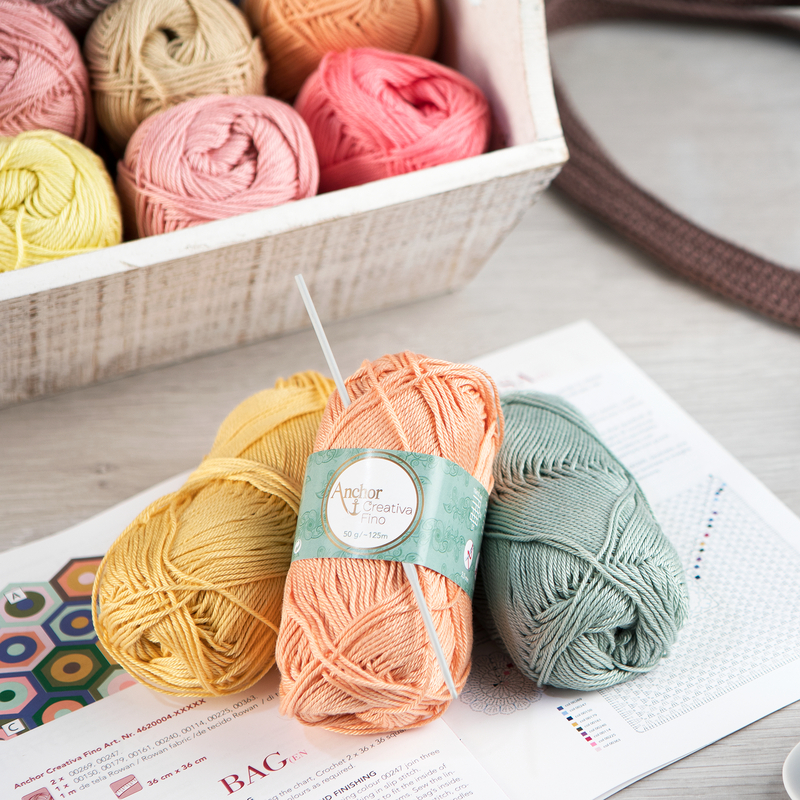 Available in 8 and 4 ply, Creativa is easy to handle, turning your project into an enjoyable, creative journey (creativity being the origin of its name!). Creativa offers an outstanding vibrant colour palette enhanced each year by 10 new shades drawn from the latest fashion trends. Highly design driven, Creativa brings you outstanding new inspiration ideas every year for home decoration or fashionable outfits and accessories, styled and designed by renowned artists in the fashion world. The Creativa campaigns raise great expectation among the fashionista crafters. Try Creativa and you’ll love it for sure, you’ll become a Creativa fashionista. 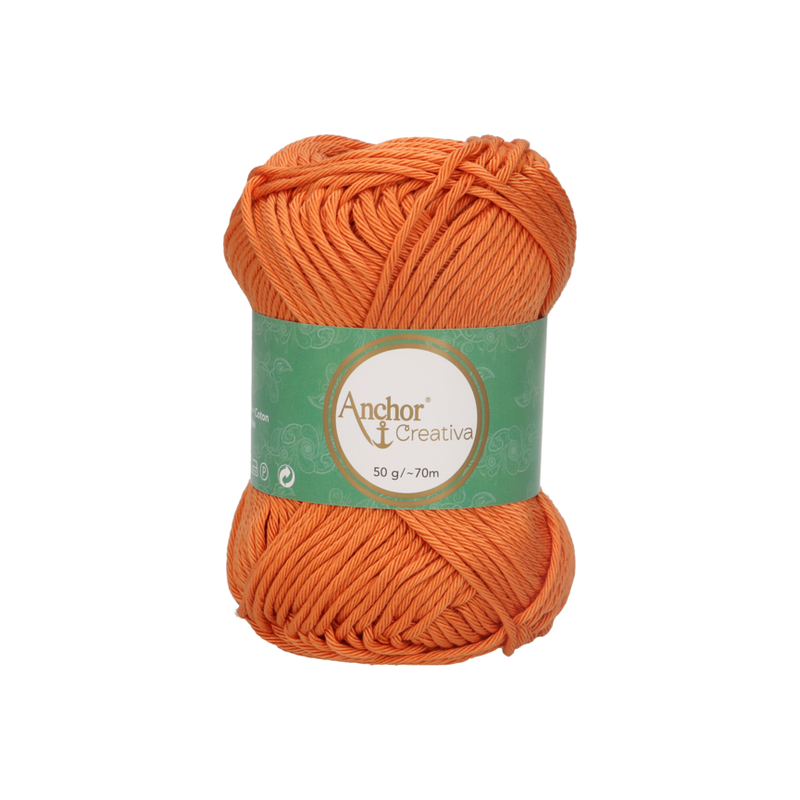 Anchor Creativa 4ply is a thinner and more lightweighted yarn which is perfect for baby, children fashion garments, acessories and toys. Available in a wide range of 73 solid shades and in 50g balls. 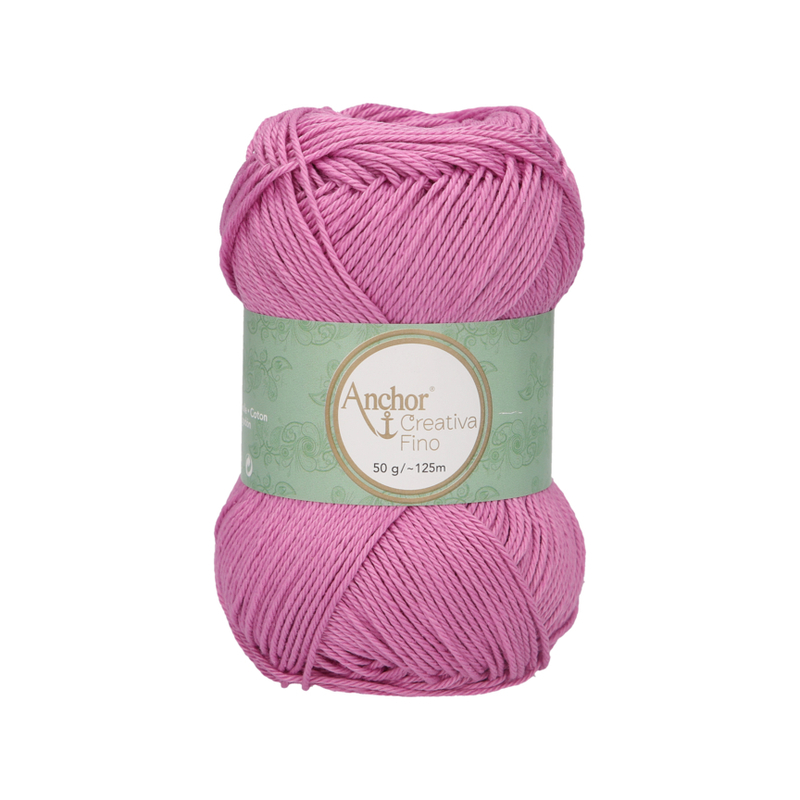 Anchor Creativa 8ply is a thicker thread which makes it ideal for Home décor and toys. Available in a wide range of 73 solid shades and in 50g balls. 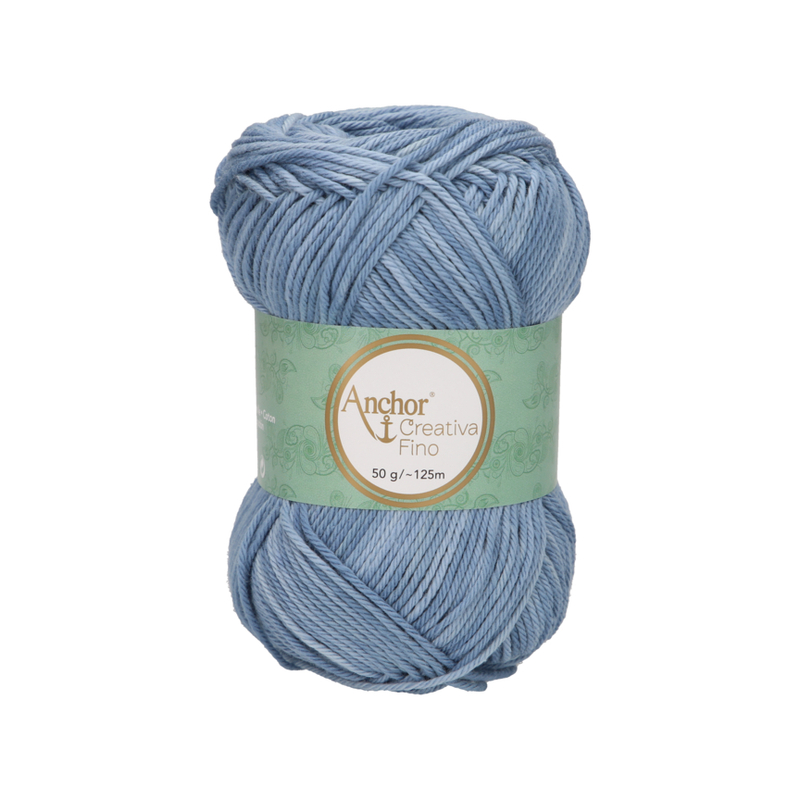 Anchor Creativa Denim yarn has a faded appearance which will give a stylish "Jeans" effect to your projects. It is perfect for baby, children fashion garments, acessories and toys. Available in a wide range of 5 shades in 50g balls.